PathSync synchronizes the contents of two directories. You can choose to synchronize unidirectionally (local to remote, or remote to local), or bidirectionally. Various synchronization options are available, including files to ignore and filename mask. It also provides nifty statistics during the synchronization, so that the user is never wondering how much time is left. How to extract: Download the installer, extract pathsync.exe to a folder of your choice and launch. Preliminary unicode filename support (via UTF-8). Uses more of WDL for file read/write. Fixed bug in fn matching for directories. How does the PathSync compare the files? Are their hashes/content compared? What happens when Ignore files size/dates are on? Cheers. My only issue with this program is for some reason now it keeps making these "PSYN_TMP" files for most of the files I'm syncing, effectively doubling the size of the folder. Also some of the original files seem to be corrupted afterwards. Any idea why it's doing this & how to stop it? 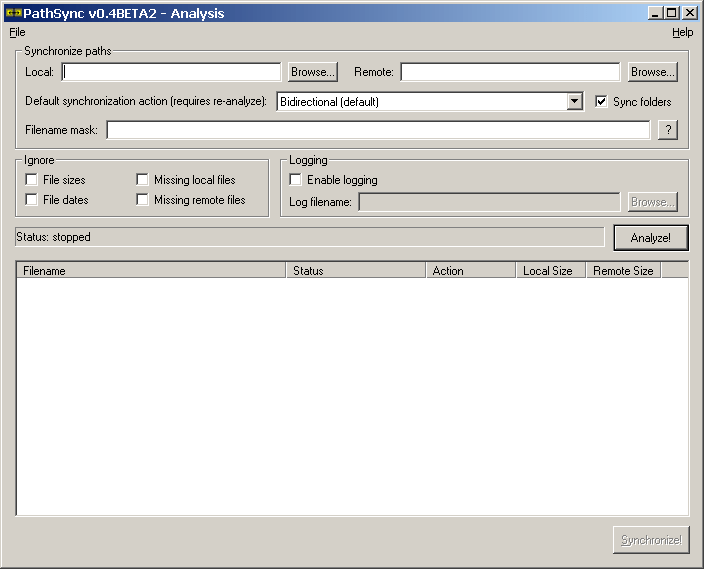 PathSync v0.4 BETA (3/6/10) available. Tested portable. Unison is a synchronization tool that allows two collections of files and directories to be stored on different hosts or different disks on the same host. Unlike simple mirroring or backup utilities, the program can deal with updates to both replicas of a distributed directory structure. Updates that do not conflict are copied automatically while conflicting updates are detected and shown. The program is cross-platform (OS X and Linux). X-Unison is a wrapper program for Unison. How to extract: Download the ZIP package and extract to a folder of your choice. Launch PortableUnison.exe. Note: a blank console window is always visible when you run Unison. This is explained on the author website. Download link results in "404 - page not found"
SyncExp enables the synchronization of files and folders within a single PC or over the LAN. It uses an optimized file comparison algorithm that checks for the existence/time/date/size of files, with automatic activity log, progress report window and preview of action. Note: Looks like the app homepage has become an ad landing site, so I have updated the download link to point to Softpedia, which still hosts the app. Unicode support: Partial. Support Unicode file names but not task names. How to extract: Download the ZIP package and extract to a folder of your choice. Launch SyncExp.exe. Does anyone have the updated support site? There's a request I have. If you have a file on both the sync list and the delete list, then it won't sync the file, but deletes it instead. What I want to do is sync the file, THEN delete it. I was wondering how to get in contact with someone that could help me with this. I use SyncExp for all my syncronizing needs, and one of those needs is syncronizing my data and then deleting it (if I'm on a computer that's not mine). It would be really cool if SyncExp could sync AND delete so that I could just make a task to sync and delete my data, and SyncExp would do both. But, anyway, if "the right person" sees this, then I don't have to hunt for you, because you found me (but please do tell how I can get in contact with you, or tell me to post here if it works best for you). Elsewise, could someone point me to "the right person", so that I could send them this request? The best way to contact me is at crossthei.thet@gmail.com if you have futher questions, or with the contact information of "the right person". I was not able to download through the application website or download website given in the entry. I have used SyncExp for years now and find it impossible to do without. I do have a problem though. I would like either to turn off the automatic log file updating or somehow redirect the log file to another folder instead of the syncexp.exe folder. 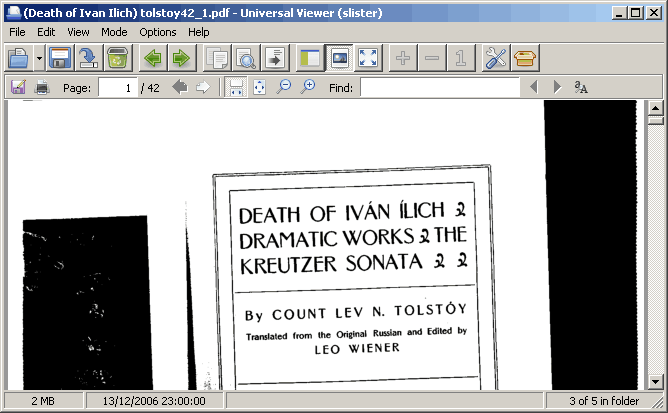 Universal Viewer can open many different formats including text, binary, rich text, images (including Photoshop), videos, audio, etc. Many office formats including PDF, DJVU, and MS Word / Excel. 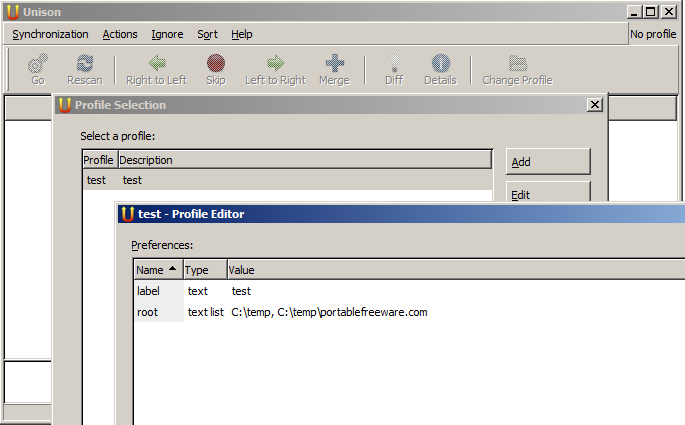 The program can open large text files, such as log files, very quickly and without eating memory. A pro version is available with additional features. This is the fastest PDF viewer. Awesome for high graphics magagine kind of PDFs. I have a lower mid range laptop. Universal viewer throws sumatra, pdfxcange, foxit out of water when it comes to speed of loading one after another high graphics page. And it's the lightest of all the PDF viewers I have tested, uses minimal CPU unlike others I have mentioned.